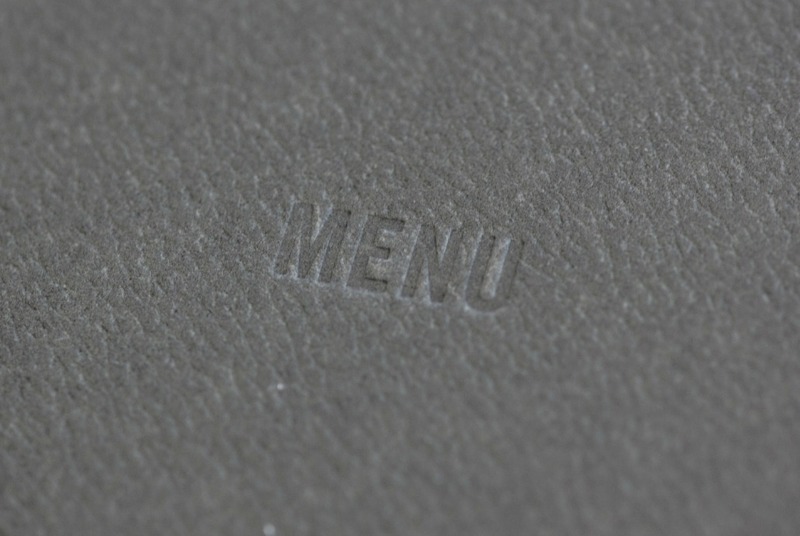 Both blind embossing and blind debossing can produce beautiful, textured finishes to printed stationery. 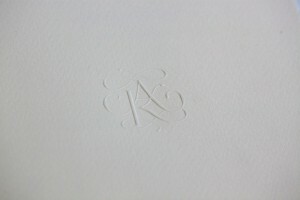 Blind embossing is what is referred to when the image is raised up out of the paper. Blind debossing is when the image is pushed down, below the surface of the paper. As both processes can be very subtle in nature, it is common to combine them with other printing forms such as copperplate printing, foil blocking or lithography to produce truly memorable stationery. 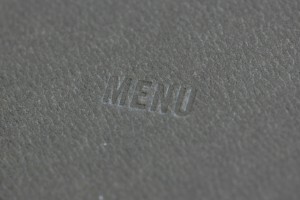 Blind embossing is very similar to the printing technique of die stamping or engraved printing. However, by not applying the ink (and simply using the force of the machine to push the paper into the metal die to leave a raised impression) an image is created where highlights and shadows define the typography or graphic. 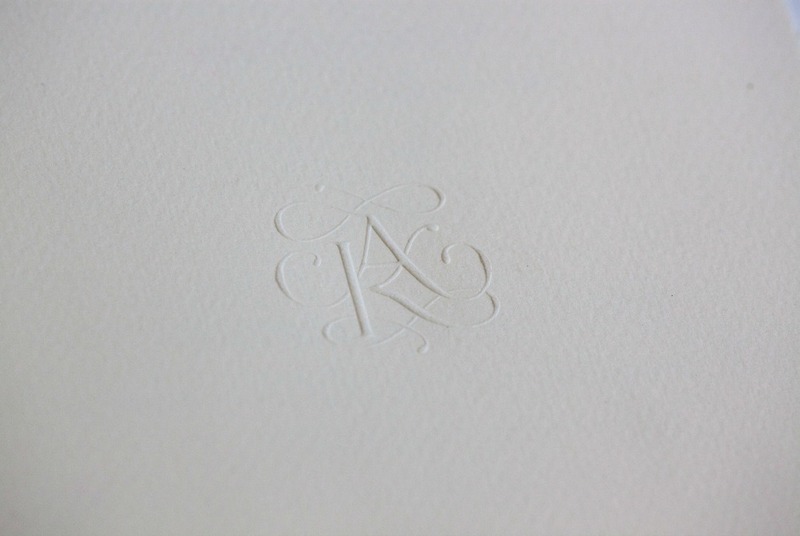 This very subtle technique can be used on a huge array of different papers and card to produce incredibly sophisticated invitations & stationery that can be both seen and felt. This is essentially the inverse of blind embossing. Rather than the image coming up, out of the paper, it is pressed into the material to leave an indented texture. When done on a larger, block area this is referred to as ‘Plate Sinking’. This is common when mounting pictures into Christmas or greetings cards as the photographs can be stuck into the area that has been ‘plate sunk’ (blind debossed). These techniques can be very effective when used on already textured/embossed papers as the blind emboss/deboss will flatten out this texture in the image area creating a striking contrast. Generally speaking, thick, bold text and larger block images can be blind embossed the deepest and heavier, high cotton content papers produce the best finished result. It is important to bear in mind when creating artwork or text for blind embossing that the lines of the image or wording are not spaced too closely together as this runs the risk that there will not be enough room for the image to be effectively formed within the paper. On thinner papers this can also cause the sheet to bow and bend.